Why Are People Really Protesting? The first response from them would be, “We are protesting because of the loss of our rights.” The truth is, however, no one has lost any rights! Sadly, several different sources have asked the DC protesters what rights they lost and no one could actually come up with any. Many couldn’t even give any reason why they were protesting. Unfortunately, many protests are not based on any actual facts! Some might say, “We’re protesting Trump as president.” It’s easy enough to understand why many dislike Trump. These same people, however, supported Obama even though he was dishonest, bypassed Congress, trampled on the Constitution, overlooked the rights of millions of Americans, violated federal law, promoted racism and displayed extreme narcissism. So, it really can’t be Trump’s ego or their loss of rights. Be assured, it is something far more diabolical than political disagreement or contempt for the newly-elected president. Many of the recent protests the media hails as the voice of our nation crying out are actually staged. As we saw in the presidential campaign, agitators and protesters who went into Trump rallies and started conflicts were actually paid to do so. They were hired agitators. 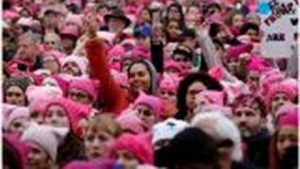 Many of the organizers and leaders of the Women’s March were also paid organizers and agitators. Their job is to whip people into a frenzy and push them into extreme actions often involving violence and destruction of property. Who would pay for these protestors and what would they have to gain? The Women’s March was primarily funded by George Soros, an anti-God, anti-American billionaire who is fully-committed to the destruction of America. It is reported that Mr. Soros spent $90,000,000 paying organizers, transportation, lawyers and other expenses. He has ties to about 50 of the agencies that organized the protest. Soros, an avowed atheist, openly expresses his hatred of America. He says America is the only obstacle to a free and fair world. But the truth is, Soros has helped overthrow many countries for the sole purpose of destroying their economy. He then buys property and industry for pennies on the dollar. He is one of the Luciferian Elitists who envisions himself as ruling the world. He considers himself a god, controlling the destiny of millions! Many are “useful idiots” who really do not understand the true issues. But this still doesn’t explain why the rioters (when they break the law they are not protestors) are willing to show up. Many are “useful idiots” who really do not understand the true issues. Some are there because of the influence of an organizer and others because of the influence of a celebrity. Some of the useful idiots actually believe they are championing a worthy cause. The real truth is this: it is a simple struggle of light versus darkness. The Prophet Daniel warned that as the end approached, knowledge would increase and light and darkness would polarize. Whether they know it or not they are there in opposition to God. When one opposes God’s morals, values and ethics they oppose God, no matter how noble their intentions. 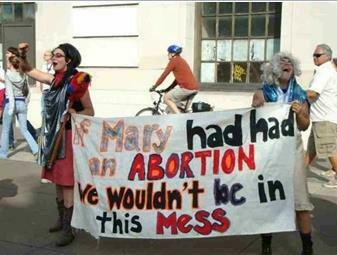 These rioters will protest anything or anyone that promotes values, morals, ethics and standards that are based on God’s Word. The person presenting these values doesn’t even have to be a Christian or Bible-believer. They may not even know their position is harmonious with God’s Word. God doesn’t even have to be mentioned; because, however, their lifestyle is darkness, and they are haters of light! Lawlessness is the most deadly of all sins; it is when we reject God’s morals and values and replace them with our own. The Bible talks about a spiritual mystery at work in the world that will ultimately usher in the man of lawlessness: the antichrist. Lawlessness is the most deadly of all sins; it is when we reject God’s morals and values and replace them with our own. In essence, we are declaring ourselves more righteous than God! We are being our own god. Only spiritual blindness could follow a logic that says killing unborn babies is women’s liberation; protecting criminals and ignoring victims is justice; paying able-bodied people not to work is fair; vetting people from a part of the world dedicated to our destruction is religious persecution; protecting our borders is racism; becoming wealthy by building business is evil, becoming wealthy by being an entertainer or athlete is opportunity. The list of illogical, self-destructing ideologies would fill pages. No one is that stupid. They are either spiritually blinded or working a diabolical agenda. Workers of iniquity inherently hate God’s values, morals and ethics. They only love that which gives them permission to indulge in the gratification of their lusts, ego and pride. Their doctrine is the Luciferian philosophy: let us throw off the morals of the Creator God who seeks to enslave us to His rules. They define freedom as a world free from all morals and ethics other than how they would define them. If they believe in God at all it is a version of God they have created in their own corrupt imaginations, which is what the Bible calls idolatry! Unless we win people to Jesus and help them become disciples, all of our voting, praying and fighting will be nothing more than a carnal attempt to solve a spiritual problem! These people do not speak for America; they have no interest in justice. They do not desire or seek peaceful coexistence; they want you silenced! It is not our place to fight them in the streets. But we must open our eyes and not become pawns because of our political affiliation. We cannot allow ourselves to be seduced by the seeming justice of their cause. We can show those who oppose God His true nature by kindness, love and by being peacemakers. Politically we can endorse and support the passage of laws that are consistent with the Bible, the Constitution and common sense. But political justice is no better than the spiritual condition of those who must live by those laws. Unless we win people to Jesus and help them become disciples, all of our voting, praying and fighting will be nothing more than a carnal attempt to solve a spiritual problem! Jesus’ most consistent warning was to guard against the deception of lawlessness. These rioters are deceived because they have never known the truth. This didn’t happen overnight. 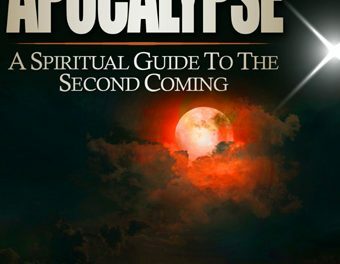 My book, Apocalypse: A Spiritual Guide To The Second Coming, explains the spiritual history of the world. It helps us understand how we got here, what is actually happening now and what will happen next. But most important, it equips you to be an overcomer no matter what we face. It ensures you will never be deceived! 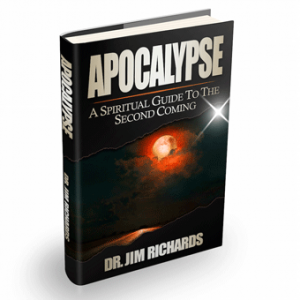 Finally, a book about the darkest time in history that gives you solutions; it leaves you with hope! PreviousHow do you know when you’re in judgement or wisdom? NextI’m not sure I understand what righteousness really is. Can you help me? Don’t be surprised when they come for you! Should I Watch The Shack? 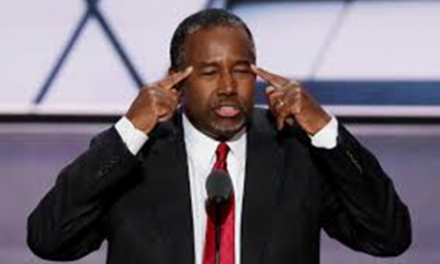 Did Ben Carson go too far?